HandiQuilter Academy rocks. I wish my quilting partner in crime (Jen) were here, but I am having a lot of fun and learning a bit. There is so much I don’t know! HandiQuilter Academy started yesterday but I missed all day due to a work commitment. I did go on a shop hop, but I will save that story for another day. Today started with a hearty breakfast and then it was right into the first class. 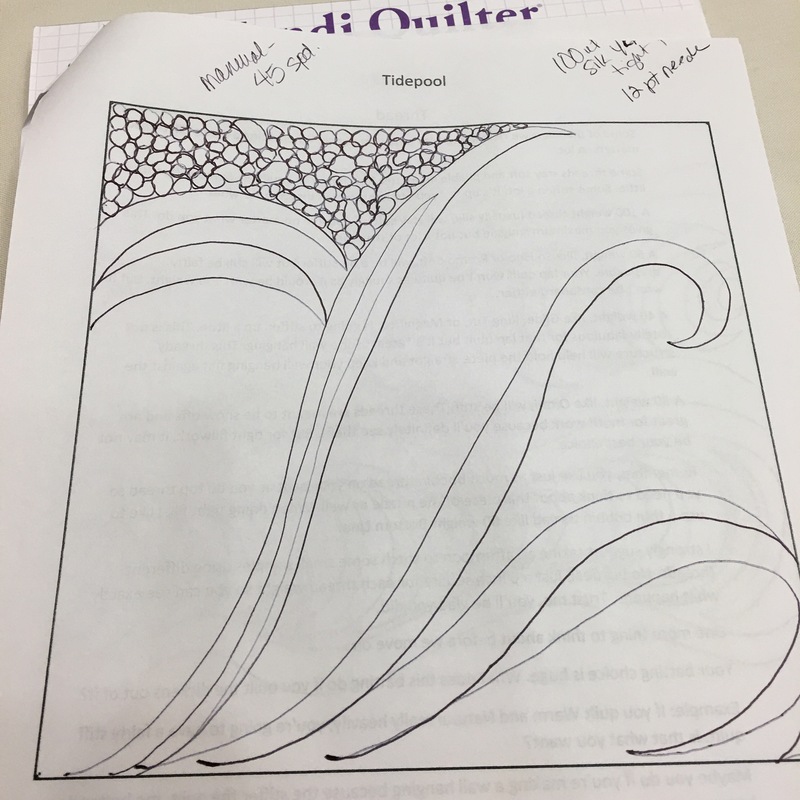 “From Blah to Rah Microquilting hands-on” was all about using very fine quilting, called microquilting, to add massive visual interest to quilts. The instructor, Kerri Rawlins, took us through several options and had us practice drawing them before setting us loose on the machines. 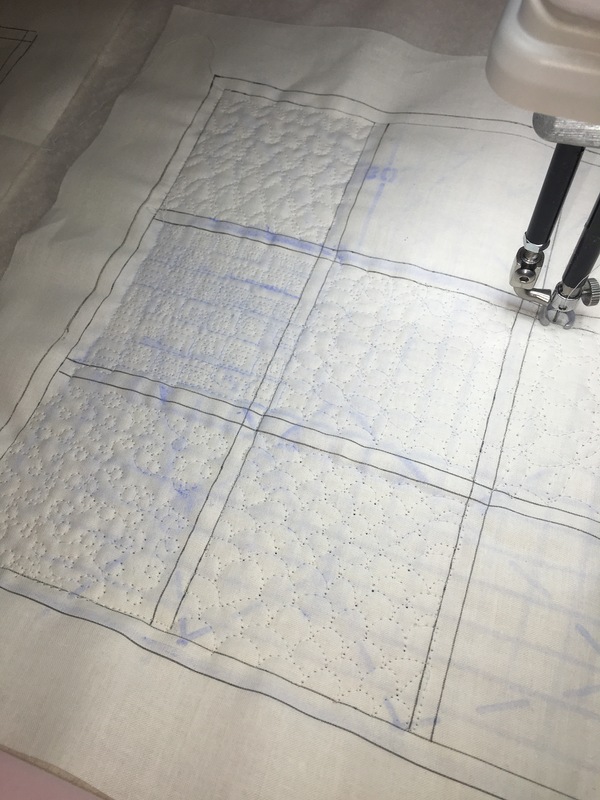 This was helpful, and is something I often do at home to get into a rhythm with something I plan on free-motion quilting. After drawing for a bit, we practiced on the machines. 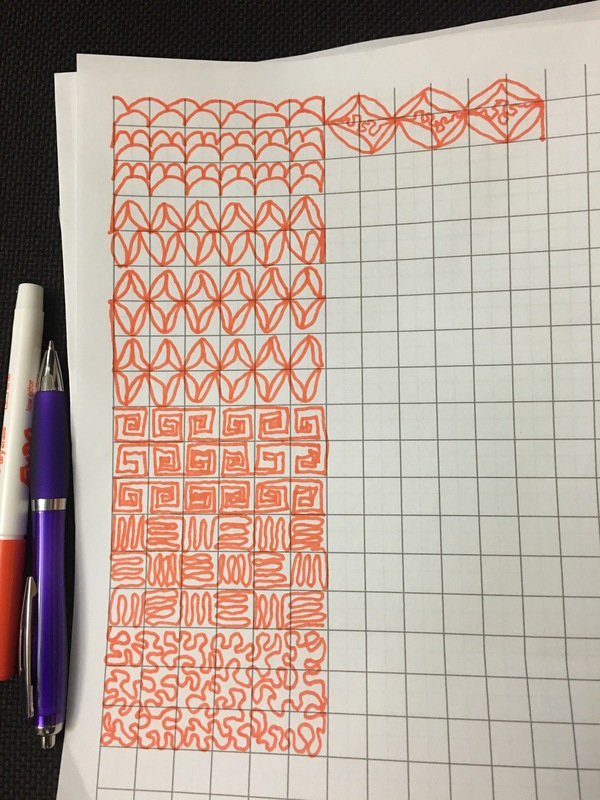 I learned about grid templates and pounce chalk to mark the quilt for quilting so you could create these intricate, but simple designs. Who knew? Clearly I need some practice. Oh, I also learned you can sit when microquilting. Bonus! 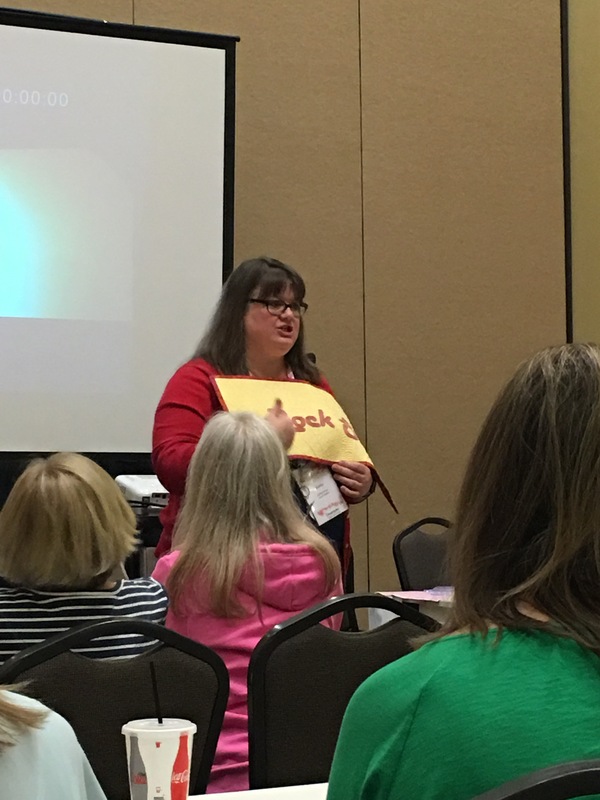 Next I went to a lecture and demo, “More or Less Quilting,” by Debby Brown (debbybrownquilts on Instagram). Her work was astounding. 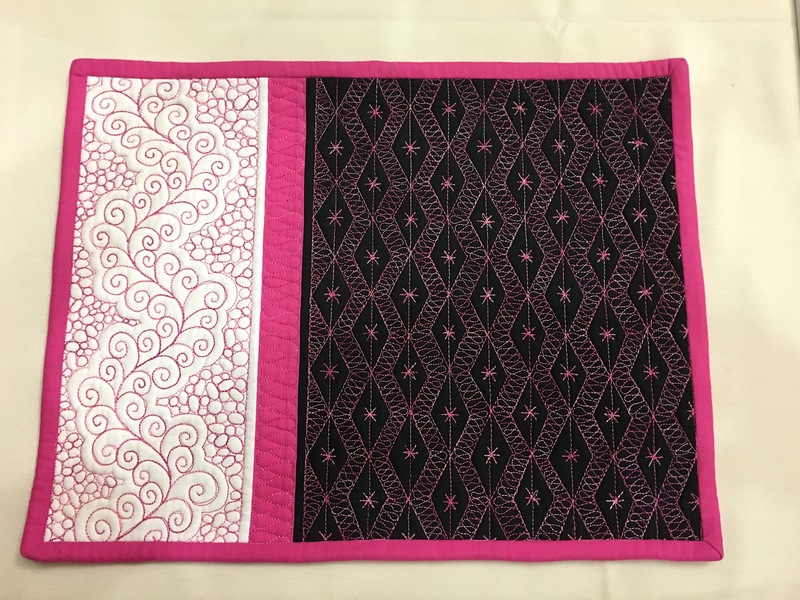 She is creating a series of 40 quilts that are all black, white and a color, have a fun back, and I believe are quilted in the color family of her colored fabric. It really shows how much quilting can add to a quilt. This is the first in the series. 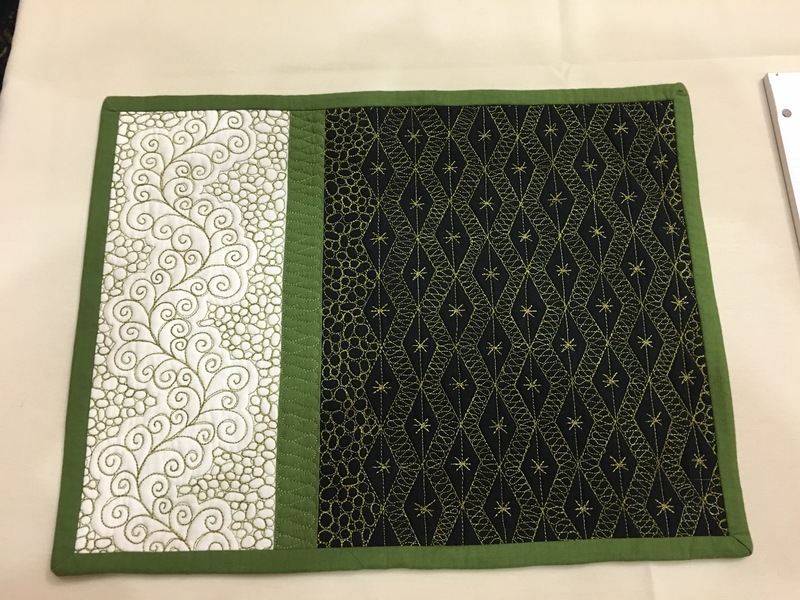 She talked a lot about wanting to improve her transition between quilting in the different pieces, and also about the different way the green thread represents on the white, green and black fabric. I don’t remember what number this was in the series, but OMG. That left rectangle left me speechless. 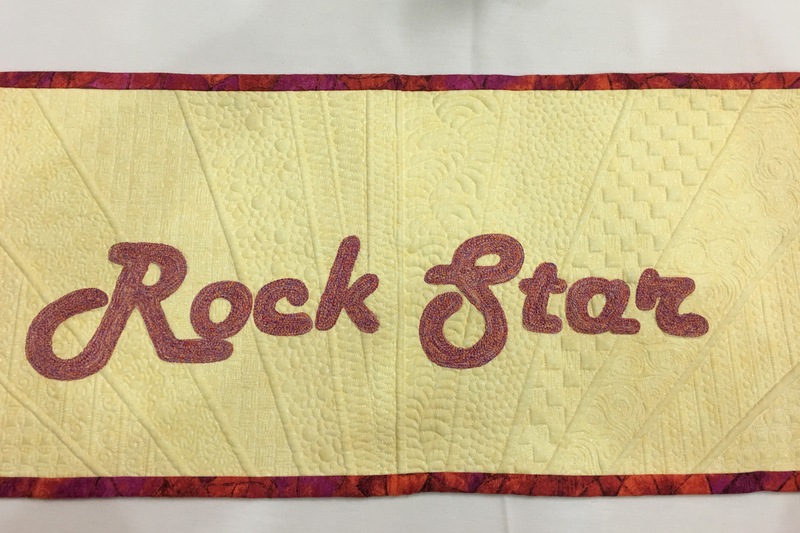 She shared several other intricately quilted quilts, including some that use thread painting to make letters. She said that she threads a #20 needle with three different threads to get the bulk and coverage. She also talked about using two or three layers of batting to get loft in the front and so that clear space puffs out. I will try that. 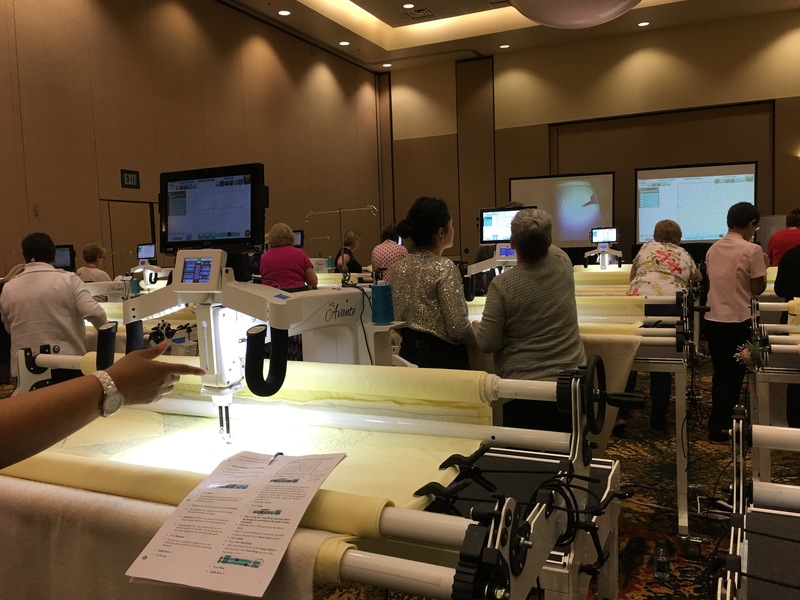 After lunch I went to a Pro-Stitcher Hands-on class, “Everything Edge to Edge” taught by Vicki Hoth and Marie Eldredge. I have never used the pro-stitcher software and I don’t know how I have gotten by without it. It isn’t quite as easy as setting it and forgetting it, but the quality is phenomenal. I really enjoyed both teachers – they kept if fun and I got so much from the class. Suffice it to say, right after class I bought the Pro-Stitcher! My last class of the day was a lecture and demo, “Creating Intereat with Fillwork,” by Kimmy Brunner. Incidentally Kimmy gave a nice talk after dinner as well. The class was about taking more risk and daring to go for great with thread choices and quilting designs. She had us draw many options and shared several examples of how these designs look quilted. I can’t wait to try some of these techniques on a quilt I made that I want to make better. I do wish I had realized how similar this class was to the first class, but I learned a lot in both so I am all good. Today was a great day. I learned a lot and am very inspired. I was bummed to miss yesterday, but hey, the day job pays the bills, quilting provides the thrills! More on awesome quilts new friends and the amazing Handiquiler team tomorrow. Tomorrow I have a class and a half and then I am on to Miami for a meeting Monday morning.